Ask About Our Expert Installation Service! OK, I want it all. Reliability. Great service. Lots of choices. Competitive price. And people who know what they're doing and understand what I'm up against. Am I asking too much? Not as far as we’re concerned. 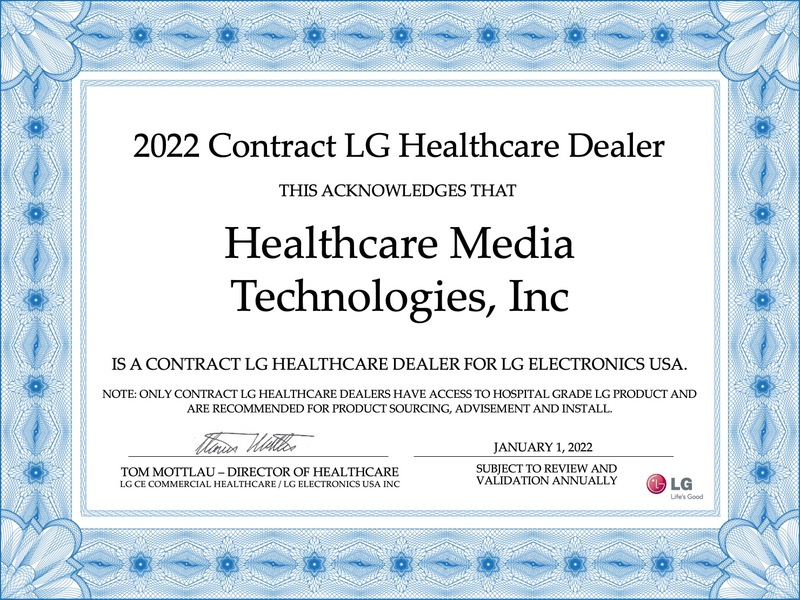 HealthCare Media Technologies delivers the full package! The industry’s only Lifetime Installation Warranty. All TV sets can be ceiling, wall or arm-mounted, and are compatible with nurse call units. Plus the availability of pillow speakers and wireless controllers ensures a user-friendly and personal viewing experience for patients or residents in multi-bed rooms. And yes, we understand your business. So you can think of us as a partner - not just a vendor.